TLJ Daily E-Mail Alert No. 2,236, May 9, 2011. May 9, 2011, Alert No. 2,236. 5/4. Rep. Chris Van Hollen (D-MD) and five other Democrats introduced HR 1732 [LOC | WW], the "Innovative Technologies Investment Incentive Act of 2011", a bill to create a new tax credit of 25% of certain equity investments in high tech and bio tech small business concerns. This bill would add to the Internal Revenue Code of 1986, which is codified in Title 26, a new Section 30E titled "Investments in High Technology and Biotechnology Small Business Concerns Developing Innovative Technologies". It would provide that "There shall be allowed as a credit against the tax imposed by this chapter for the taxable year an amount equal to 25 percent of the qualified equity investments made by the taxpayer during the taxable year." This credit would only apply to investment in a "small business concern" that "is engaged in a high technology or biotechnology trade or business" and employs fewer than 500 people. Also, it would only apply to investment in concerns that also qualify under the Small Business Innovation Research (SBIR) grant program. Section 9 of the Small Business Act (SBA), which is codified at 15 U.S.C. § 638, provides for the SBIR grant program. The entire SBA is codified at 15 U.S.C. §§ 631-657p. This bill does not provide a definition of "high technology". Nor does 15 U.S.C. § 638. However, the bill would give the Internal Revenue Service (IRS) authority to write implementing rules. Rep. Van Hollen (at right) stated in a release that this bill "incentivizes meaningful investment in America's most innovative small companies so we can leverage private capital to create good-paying American jobs and lay the foundation for our future economic success. It will provide a boost to those at the cutting edge of tomorrow’s breakthroughs and cures -- as well as job creators -- at a time when that boost is needed most." This bill was referred to the House Ways and Means Committee. Rep. Van Hollen is the ranking Democrat on the House Budget Committee (HBC). The original cosponsors of this bill are Rep. Dutch Rupersberger (D-MD), Rep. Allyson Schwarz (D-PA), Rep. Betty McCollum (D-MN), Rep. John Garamendi (D-CA), and Rep. Jared Polis (D-CO). Rep. Van Hollen introduced a substantially identical bill in the 111th Congress, HR 5767 [LOC | WW], the "Innovative Technologies Investment Incentive Act of 2010", on July 15, 2010. There was no action on that bill. This bill would amend 47 U.S.C. § 531, which pertains to "Cable channels for public, educational, or governmental use". This section requires cable companies to set aside some of their channels for use for public, educational and governmental (PEG) purposes. PEG channels once performed a unique function, and possessed a relevance, that are diminishing with the alternative internet technologies and adoption of broadband internet access. Rep. Baldwin (at right) and Rep. LaTourette issued a release that states that "There are an estimated 5,000 PEG channels in America that serve their communities in a variety of important ways. They connect residents with their local government, televising city council and county board meetings and hearings. Local school districts operate PEG channels to broadcast school board meetings and forums, homework helpers, lectures, and sporting events not otherwise aired on television." This is a reintroduction of HR 3745 [LOC | WW], the "Community Access Preservation (CAP) Act of 2009", which Rep. Baldwin introduced in the 111th Congress, on October 7, 2009. The two bills are similar, but not the same. 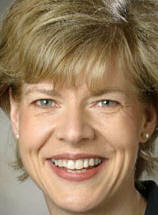 See, story titled "Rep. Baldwin Introduces PEG Mandates Bill" in TLJ Daily E-Mail Alert No. 2,003, October 15, 2009. There was no action on that bill in the 111th Congress. Rep. Baldwin stated in her release that "The nature of television programming is changing, as are the methods in which that programming is delivered. These changes should not come at the expense of the diversity and vibrancy of local voices". This bill would also mandate that cable operators carry signals for PEG use "from the point of origin of such signals to subscribers without material degradation and without altering or removing content or data". It would also require cable operators to "provide such signals to, and make such signals viewable by, every subscriber of the cable system without additional service or equipment charges". It also require cable operators to "provide to the appropriate local government subdivision, free of charge, any transmission services and the use of any transmission facilities that are necessary" to carrying PEG signals. The bill also addresses cable operators' subsidies for PEG use. Rep. Baldwin's release states that the bill requires cable "operators to provide the support required under state laws, or the support historically provided for PEG, or up to 2% of gross revenue, whichever is greater". This bill would give local government entities authority to enforce the provisions of this bill. The bill would also direct the Federal Communications Commission (FCC) to conduct "an analysis of the impact of the enactment of State video service franchising laws since 2005 on" PEG use of cable systems. This bill would also amend the definition of "cable service" in 47 U.S.C. § 522. It currently means "(A) the one-way transmission to subscribers of (i) video programming, or (2) other programming service; and (B) subscriber interaction, if any, which is required for the selection or use of such video programming or other programming service". The bill would insert, at the beginning, the phrase "regardless of the technology or transmission protocol used in the provision of service". The bill was referred to the House Commerce Committee (HCC). Rep. Baldwin is a member. 5/4. The House Commerce Committee's (HCC) Subcommittee on Commerce, Manufacturing, and Trade held a hearing titled "The Threat of Data Theft to American Consumers". Rep. Mary Mack (R-CA), the Chairman of the Subcommittee, wrote in her opening statement that "I am deeply troubled by these latest data breaches, and the decision by both Epsilon and Sony not to testify today. This is unacceptable." "According to Epsilon, the company did not have time to prepare for our hearing -- even though its data breach occurred more than a month ago. Sony, meanwhile, says it’s too busy with its ongoing investigation to appear." She also stated that "This ongoing mess only reinforces my long-held belief that much more needs to be done to protect sensitive consumer information. Americans need additional safeguards to prevent identity theft, and I will soon introduce legislation designed to accomplish this goal. My legislation will be crafted around a guiding principle: Consumers should be promptly informed when their personal information has been jeopardized." The witnesses were David Vladeck (Director of the FTC's Bureau of Consumer Protection), Pablo Martinez (Deputy Special Agent in Charge of the DHS's Secret Service's Criminal Investigative Division), Justin Broookman (Center for Democracy and Technology), and Eugene Spafford (Purdue University). The FTC's prepared testimony states that the FTC "has brought more than 30 law enforcement actions against businesses that allegedly failed to protect consumers' personal information appropriately". And, in addition to law enforcement, the FTC engages in education and policy initiatives. The FTC enforces data security requirements for financial institutions under the Gramm Leach Bliley Act (GLB Act), for credit reporting agencies under the Fair Credit Reporting Act (FCRA), and for businesses generally under Section 5(a) of the FTC Act, which is codified at 15 U.S.C. § 45, in cases where a business makes false or misleading claims about its data security procedures. The FTC's testimony also reviews three public roundtables hosted by the FTC on consumer privacy in 2009 and 2010, and previews its roundtable on child identity theft scheduled for July 12, 2011. Also, the Federal Trade Commission (FTC) released a document [122 pages in PDF] titled "Protecting Consumer Privacy in an Era of Rapid Change: A Proposed Framework for Businesses and Policymakers", on December 2, 2010. It proposed, among other things, an online do not track regime. See, story titled "Divided FTC Proposes Do Not Track Regime" in TLJ Daily E-Mail Alert No. 2,169, December 5, 2011. The FTC's prepared testimony also states its "support for federal legislation that would (1) impose data security standards on companies and (2) require companies, in appropriate circumstances, to provide notification to consumers when there is a security breach". The DHS's Martinez wrote in his prepared testimony about the nature and extent, and law enforcement investigation of, electronic crimes. He wrote that "Advances in computer technology and greater access to personal information via the Internet have created a virtual marketplace for transnational cyber criminals to share stolen information and criminal methodologies. As a result, the Secret Service has observed a marked increase in the quality, quantity and complexity of cyber crimes targeting private industry and critical infrastructure. These crimes include network intrusions, hacking attacks, malicious software and account takeovers leading to significant data breaches affecting every sector of the world economy." The CDT's Brookman wrote in his prepared testimony that "data breach is a major longstanding problem for consumers, businesses and government". He recommended that "Any federal action on data breach should be a mix of requirements and incentives for both companies and government bodies to install sufficient front-end data security measures, to minimize their holdings of consumer data that is no longer necessary for a specific, legitimate purpose, and to develop structures that monitor and control where consumer data resides. Finally, although data breach is an important problem, new rules on data breach would be best addressed as one part of comprehensive baseline consumer privacy legislation." He also discussed HR 2221 [LOC | WW], the "Data Accountability and Trust Act", or "DATA Act", which was introduced in the 111th Congress by Rep. Bobby Rush (D-IL), Rep. Joe Barton (R-TX), Rep. Jan Schakowsky (D-IL), Rep. Cliff Stearns (R-FL), and former Rep. George Radanovich (R-CA). The HCC and the full House passed that bill. See also, story titled "House Commerce Subcommittee Marks Up Data Accountability and Trust Act" in TLJ Daily E-Mail Alert No. 1,948, June 4, 2009. Rep. Rush, Rep. Barton, and Rep. Schakowsky reintroduced the DATA Act on May 4. See, related story in this issue titled "Rep. Rush Reintroduces Data Accountability and Trust Act". Brookman stated that HR 2221 "contained provisions on consumer access to data broker files in addition to security and breach notification requirements. That bill would have created a nationwide data breach notification standard, which CDT supports so long as that standard is at least as effective as the laws already in place at the state level." Currently, almost all of the states have law pertaining to data breaches. Brookman added that "If a federal law were to preempt state laws and replace them with a weak notification regime, the result would be a significant step backwards for consumers and data security." Brookman also outlined the CDT's recommendations for a federal data breach law, as well as for "enactment of a uniform set of baseline rules for personal information collected both online and off-line". See also, prepared testimony of Eugene Spafford. 5/4. Rep. Bobby Rush (D-IL), Rep. Joe Barton (R-TX), and Rep. Jan Schakowsky (D-IL) introduced HR 1707 [LOC | WW], the "Data Accountability and Trust Act", or DATA Act. This is a reintroduction of HR 2221 [LOC | WW], a bill with the same title, from the 111th Congress. Rep. Rush stated at the House Commerce Committee's (HCC) Subcommittee on Commerce, Manufacturing, and Trade's hearing on May 4, 2011, that "The DATA Act is the same bill that I introduced and was able to get passed out of this Committee, with bipartisan support, in December, 2009 in the 111th Congress." See, opening statement. He continued that it is important "to remain technologically neutral, so that we don't pick winners and losers. We have also endeavored to better understand the unique natures of the business models and realities involving what the bill defines as "service providers," "information brokers" and "fraud databases" so as not to cause unintended consequences or to unreasonably disrupt the free flow of interstate commerce." He added that "the DATA bill would allow for delays of up to 30 days -- or indefinitely -- before security breach notifications must be given to individuals in instances where a Federal, state, or local law enforcement agency, or a federal security or homeland security agency, says in writing that doing so would impede a criminal or civil investigation or threaten national security." The bill was referred to the HCC. 5/6. Rep. Ed Markey (D-MA) and Rep. Joe Barton (R-TX) released a discussion draft [32 pages in PDF] of a bill to be titled the "Do Not Track Kids Act of 2011". This bill would amend the Children's Online Privacy Protection Act of 1998 (COPPA), which is codified at 15 U.S.C. §§ 6501-6506. The COPPA bans operators of web sites and online services that are directed to children from collecting information from children under thirteen without parental consent. The COPPA was S 2326 in the 105th Congress. S 2326 was enacted into law as part of a large omnibus appropriations bill in October of 1998. See, TLJ story titled "Internet and Tech Bills Become Law", October 22, 1998. See also, TLJ web page titled "Children's Online Privacy Protection Act" (1998). Rep. Markey's and Rep. Barton's bill would revise and expand the underlying regulatory regime of the COPPA regarding collection of information from children. It would also ban the tracking of children for marketing purposes and other child related activities. First, the bill provides that "It is unlawful for an operator of a website, online service, online application, or mobile application directed to children or minors, or an operator having actual knowledge that it is collecting personal information from children or minors, to use, disclose to third parties, or compile personal information collected from children or minors, if the use, disclosure, or compilation is for targeted marketing purposes." Second, the bill would require operators to adopt and publish a "Digital Marketing Bill of Rights for Teens" that includes seven "Fair Information Practices Principles", which principles are enumerated and defined by the bill. Third, the bill would regulate operators' collection of "geolocation information" from kids. Fourth, the bill would require operators' to create "erasure buttons" for certain online content. The bill would require operators "to implement mechanisms that permit users of the website, service, or application of the operator to erase or otherwise eliminate content that is publicly available through the website, service, or application and contains or displays personal information of children or minors". The bill also directs the FTC to write implementing rules, pursuant to Administrative Procedure Act (APA) procedure, for each of these new requirements. The bill would give civil enforcement authority to the FTC, and to states. However, it does not expressly create a private right of action. Rep. Markey (at right) stated in a release that "For millions of kids today, the Internet is their new 21st century playground" and "kids growing up in this online environment also need protection from the dangers that can lurk in cyberspace". He added that the purpose of this bill is to ensure that "kids do not have their online behavior tracked or their personal information collected or used without permission". Rep. Barton stated in a release that "it is imperative to ensure that consumers' personal and private information remains personal and private. I understand that gathering some information from consumers is necessary when conducting business online, however it is never acceptable to abuse that information. The Do Not Track Kids Act of 2011 is a bill that makes protecting our children a priority, and I believe that this is a great first step in consumer privacy". 5/6. Sen. John Rockefeller (D-WV), the Chairman of the Senate Commerce Committee (SCC), announced that he will introduce a bill titled the "Do-Not-Track Online Act of 2011" sometime during the week of May 9, 2011. He issued a release that states that this bill would "Create a universal legal obligation for all online companies to honor consumer choice when consumers do not want anyone to collect information about their online activities", and give enforcement authority to the Federal Trade Commission (FTC). This release also states that the SCC "is also working on comprehensive legislation to increase cybersecurity". 5/5. President Obama announced his intent to nominate Stephen Higginson to be a Judge of the U.S. Court of Appeals (5thCir). See, White House news office release. He is a professor at Loyola University's law school, and a part time Assistant U.S. Attorney for the Eastern District of Louisiana. 5/4. James Burns was named Deputy Chief of Staff at Securities and Exchange Commission (SEC). He replaces Kayla Gillan who went to work for RiskMetrics Group. See, SEC release. Jim Clements (West Virginia University). Larry Cohen (Communications Workers of America). Rebecca Henderson (Harvard Business School). James Manyika (McKinsey & Company). Stephen Tang (University City Science Center). 5/2. Traci Morris was named Director of Operations of Native Public Media (NPM). See, NPM release. 5/6. The National Institute of Standards and Technology's (NIST) Computer Security Division (CSD) released its draft SP 800-90 A[135 pages in PDF] titled "Recommendation for Random Number Generation Using Deterministic Random Bit Generators. The deadline to submit comments is August 1, 2011. 5/6. The National Institute of Standards and Technology's (NIST) Computer Security Division (CSD) released its draft SP 800-57 Part 1 Revision 3 [143 pages in PDF] titled "Recommendation for Key Management: Part 1: General". The deadline to submit comments is July 1, 2011. 5/5. The Federal Communications Commission (FCC) released an agenda for its event on Thursday, May 12, 2011, titled "open meeting. It contains the same three items that were listed on its preliminary agenda released on April 21, 2011. See, story titled "FCC Releases Tentative Agenda for May 12 Meeting" in TLJ Daily E-Mail Alert No. 2,225, April 25, 2011. The House will not meet. See, Rep. Cantor's schedule for week of May 9. The Senate will meet at 2:00 PM. TIME? There will be a meeting of the U.S.-China Strategic and Economic Dialogue. Location? The House will meet at 12:00 NOON for morning hour, and at 2:00 PM for legislation business. It will consider non-technology related items. See, Rep. Cantor's schedule for week of May 9. 10:00 AM. The Senate Judiciary Committee's (SJC) Subcommittee on Privacy, Technology and the Law will hold a hearing titled "Protecting Mobile Privacy: Your Smartphones, Tablets, Cell Phones and Your Privacy". The witnesses will be Jessica Rich (Deputy Director of the FTC's Bureau of Consumer Protection), Jason Weinstein (Deputy Assistant Attorney General in the DOJ's Criminal Division), Justin Brookman (Center for Democracy and Technology), Alan Davidson (Google), Ashkan Soltani, Bud Tribble (Apple), and Jonathan Zuck (Association for Competitive Technology). The SJC will webcast this hearing. See, SJC notice. See also, April 20 letter from Sen. Al Franken (D-MN) to Apple CEO Steve Jobs, and story titled "Sen. Franken Writes Steve Jobs Regarding Location Data Retention by iPhones and 3G iPads" in TLJ Daily E-Mail Alert No. 2,224, April 20, 2011. Location: Room 226, Dirksen Building. The House will meet at 10:00 AM for morning hour, and at 12:00 NOON for legislation business. It will consider non-technology related items. See, Rep. Cantor's schedule for week of May 9. 10:15 PM. The Senate Judiciary Committee's (SJC) Subcommittee on Antitrust, Competition Policy and Consumer Rights will hold a hearing titled "The AT&T/T-Mobile Merger: Is Humpty Dumpty Being Put Back Together Again?". The witnesses will be Randall Stephenson (P/CEO of AT&T), Philipp Humm (P/CEO of T-Mobile USA), Daniel Hesse (CEO of Sprint Nextel), Hu Meena (P/CEO of Cellular South), Gigi Sohn (Public Knowledge), and Larry Cohen (Communications Workers of America). See, notice. The SJC will webcast this hearing. Sen. Herb Kohl (D-WI) will preside. Location: Room 226, Dirksen Building. 10:00 AM. The Senate Commerce Committee (SCC) will hold a hearing titled "Economic Ramifications of Cyber Threats and Vulnerabilities to the Private Sector". The witnesses will be Gordon Snow (Assistant Director of the FBI's Cyber Division), Harriet Pearson (IBM), Sara Santarelli (Verizon), and Thomas Kellermann (AirPatrol Corp.) See, notice. Location: Room 253, Russell Building. 10:00 AM. The Senate Judiciary Committee (SJC) will hold an executive business meeting. The agenda again includes consideration of the nominations of Virginia Seitz (to be Assistant Attorney General in charge of the Department of Justice's (DOJ) Office of Legal Counsel), Donald Verrilli (DOJ Solicitor General), Lisa Monaco (AAG in charge of the DOJ's National Security Division), Bernice Donald (Judge of the U.S. Court of Appeals (6thCir)), Henry Floyd (USCA/4thCir), Kathleen Williams (USDC/SDFl), Nelva Ramos (USDC/SDTex), Richard Jackson (USDC/DColo), and Sara Darrow (USDC/CDIll). The agenda also again includes consideration of S 623 [LOC | WW], the "Sunshine in Litigation Act". The SJC rarely follows its published agendas. The SJC will webcast this event. See, notice. Location: Room 226, Dirksen Building. 2:30 PM. The Senate Homeland Security and Governmental Reform Committee (SHSGRC) will hold a hearing titled "Ten Years After 9/11: Is Intelligence Reform Working?". See, notice. The SHSBRC will webcast this hearing. Location: Room 342, Dirksen Building.